This is a sponsored post. I have been compensated for my promotion of Wine & Chocolate 5K and Tropical Smoothie Cafe. All opinions are my own. It’s probably fair to say that running is my favorite hobby. I love the physical activity, the health benefits and the sense of community. I love it even more when running takes the guise of a fun night out. 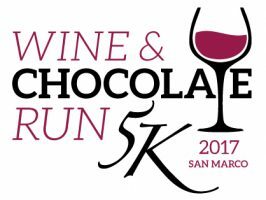 Enter the San Marco Wine and Chocolate Run. 1st Place Sports will be hosting this 5K through the lovely, historic downtown San Marco area on Saturday, April 22 at 4:30 PM. 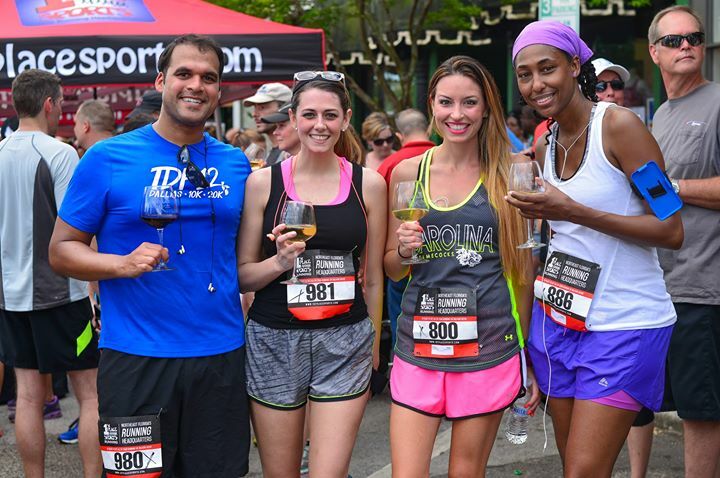 Runners get to enjoy 3.1 miles of gorgeous neighborhoods, and then celebrate their finish in San Marco Square with each participant receiving a customized wine glass. Wine will be flowing and chocolate will be plentiful at the afterparty, and local merchants will be raffling off some awesome prizes. Register online here until Wednesday, April 19 or visit any 1st Place Sports location to enter in person. You will not be sorry you did. Of course, since this is a late afternoon race, you’ll want to make sure you have a light but nourishing lunch beforehand. 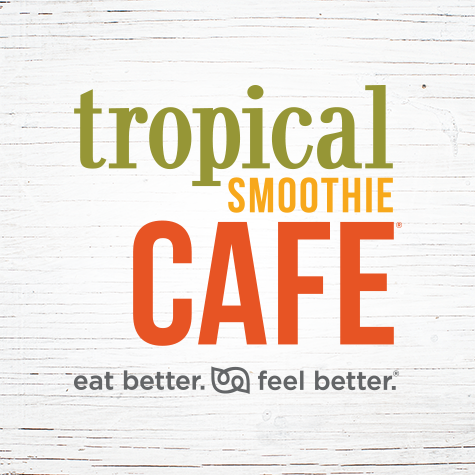 Tropical Smoothie Cafe is a great option. 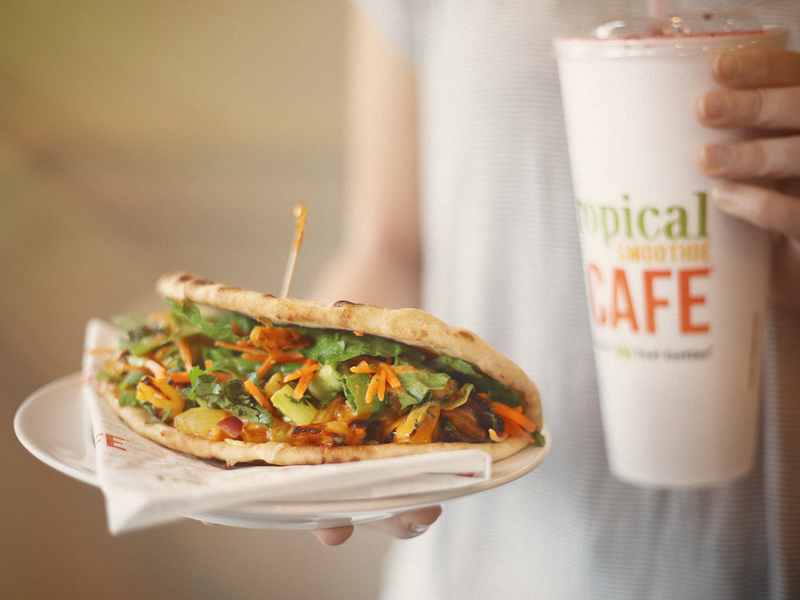 Try the Cha Cha Sriracha Chicken Flatbread: toasted flatbread packed with delicious grilled chicken, mozzarella cheese, shredded carrots, house-made roasted pineapple salsa, cilantro, scallions and caramelized pineapple Sriracha sauce. 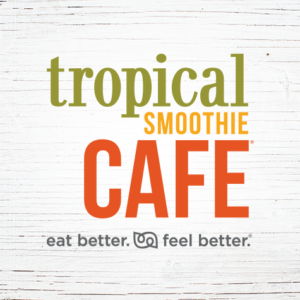 Pair it with one of Tropical Smoothie Cafes Boosted Smoothies, in refreshing flavors like Acai Berry Boost, Chia Banana Boost with Strawberries or Chia Banana Boost with Peanut Butter. 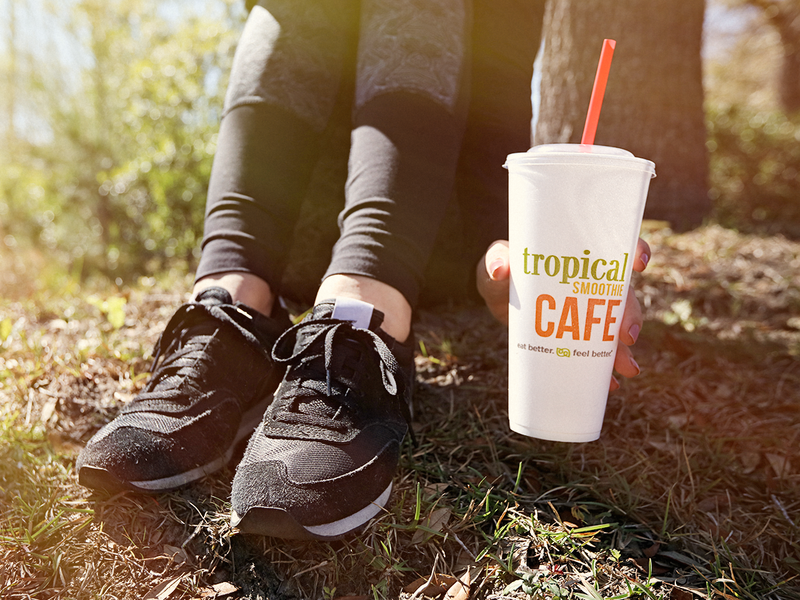 You can even enjoy the Smoothie on its own – it’s definitely filling enough for a pre-race meal! Grab your best running friends, and prepare to make a complete day of April 22: lunch and running all rolled into one! One Response to wine + chocolate + running + smoothies! That sounds like such a fun run, I wish I was closer! You know you had me at wine! Have a great weekend! Mary Beth Jackson recently posted…The Magic inside- Birchbox and Me!